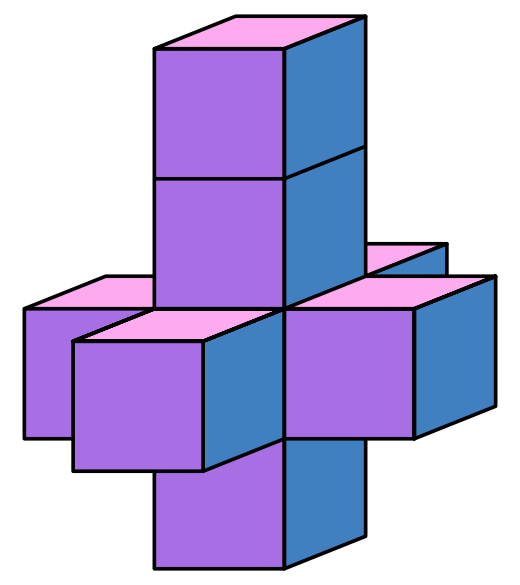 A minor earthquake causes the finished house to collapse into a singular cube form, which turns out to be an actual, working tesseract. In short, it is a very strange house, a kind of maze that the architect and buyers have a hard time escaping. Inside the cubical structure, all the rooms and floors seem to be in place but they loop back on themselves in bizarre and unpredictable ways. Some windows open out onto various geographical locations from their native California to New York. Like Doctor Who's TARDIS, Heinlein's tesseract house is bigger on the inside than the outside. In its collapsed, re-enfolded form it makes me think of nothing so much as the TARDIS in "siege mode. "As I wrote here, I've long thought the TARDIS was a tesseract. 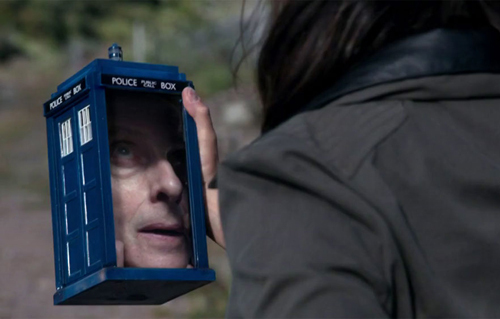 In "Flatline," the TARDIS is drained of energy by two dimensional beings. It shrinks. And it defends itself against the impact of an oncoming train by entering siege mode -- a cube only a few inches across -- both trapping and protecting the Doctor inside. 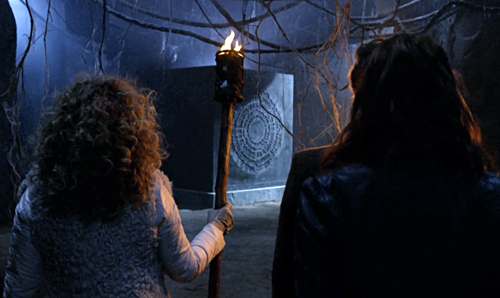 It bears a striking resemblance to the Pandorica, the inescapable prison meant to contain the Doctor. Needless to say, I no longer have any question that the TARDIS is a tesseract. 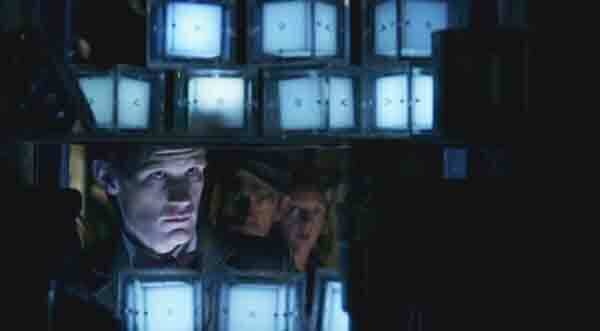 The most explicit reference to Gallifreyan use of tesseract based technology is their hypercube messaging system. In "The Doctor's Wife," the Doctor is lured into a trap by a distress call from legendary Time Lord the Corsair. 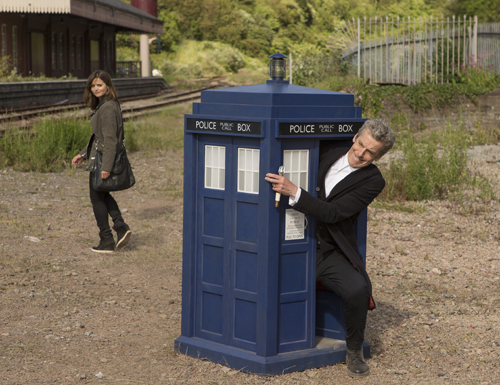 Sadly, he learns that it is a kind of Time Lord and TARDIS graveyard, where he meets the strangely familiar Idris. She tells him, "The little boxes will make you angry." 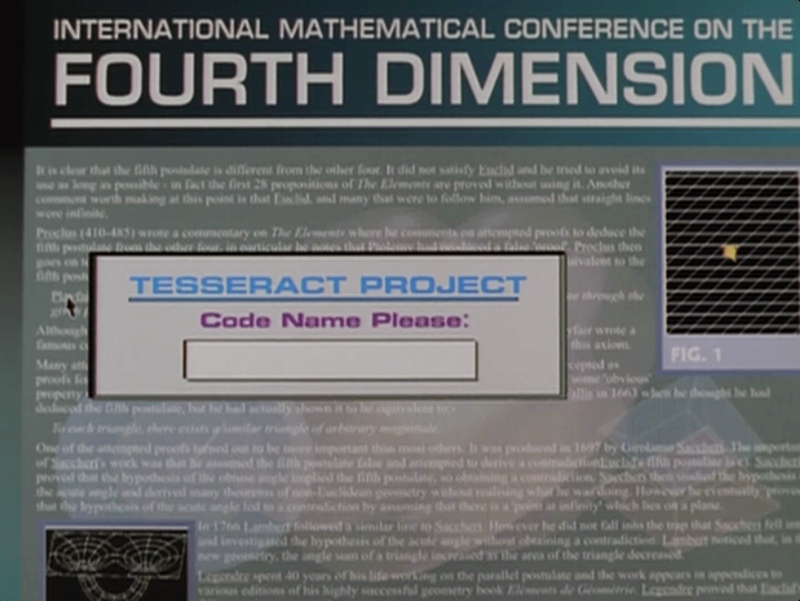 One of the more notable features of the various tesseract, hypercube forms depicted in the Doctor Who series is that they suggest wormhole opening capability. The hypercube messages travel through time and space like the TARDIS. 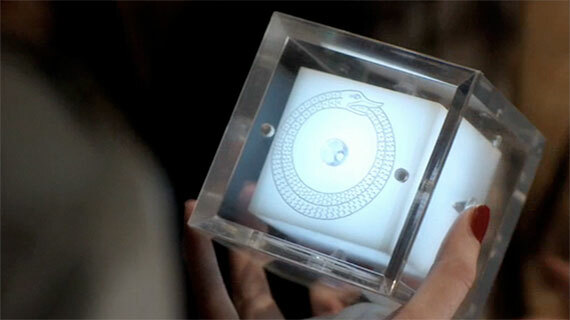 The Corsair's is marked with his signature symbol, the Ouroboros. The Pandorica has circumpunct imagery on all sides and the siege cube is covered with circumpunct-like markings of Gallifreyan symbols. That Doctor Who travels through wormholes has always been fairly obvious and got only more explicit over time. What is less obvious is exactly how, but tesseract-based technology is implied. 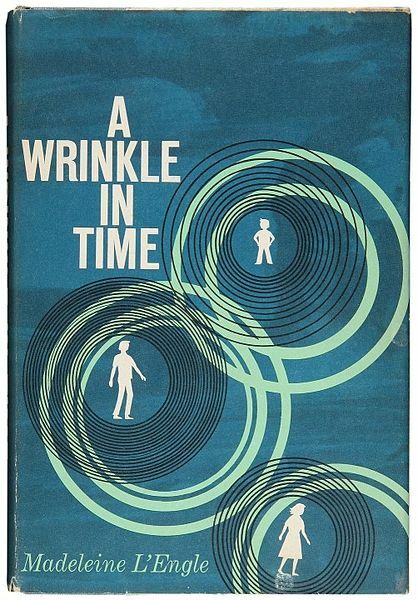 As the original book cover demonstrates (see above), A Wrinkle in Time is also about wormhole travel enabled by the tesseract. A TV movie based on the book also makes some elements of the book clearer and more explicit. For one thing, the book explains tesseract travel as fifth dimensional, which is not my understanding. Wikipedia gives a breakdown of the three polytopes that work in five dimensions, one of which involves multiple tesseracts. In the movie, the tesseract is depicted explicitly as a fourth dimensional construct, underscored with wormhole imagery. In one scene, Dr. Dana Murry, can be seen trying to access information on a password protected website to explain her astrophysicist husband's mysterious disappearance. 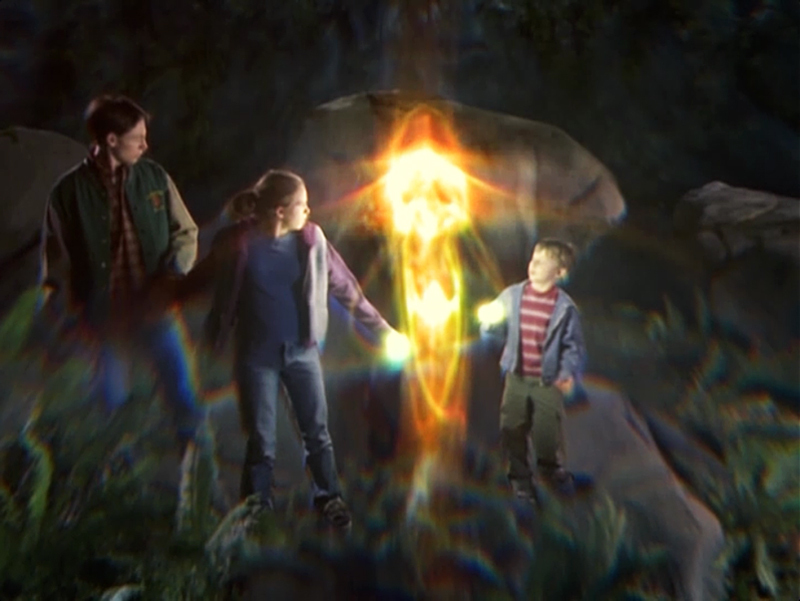 A wormhole is depicted at the bottom of the screen. 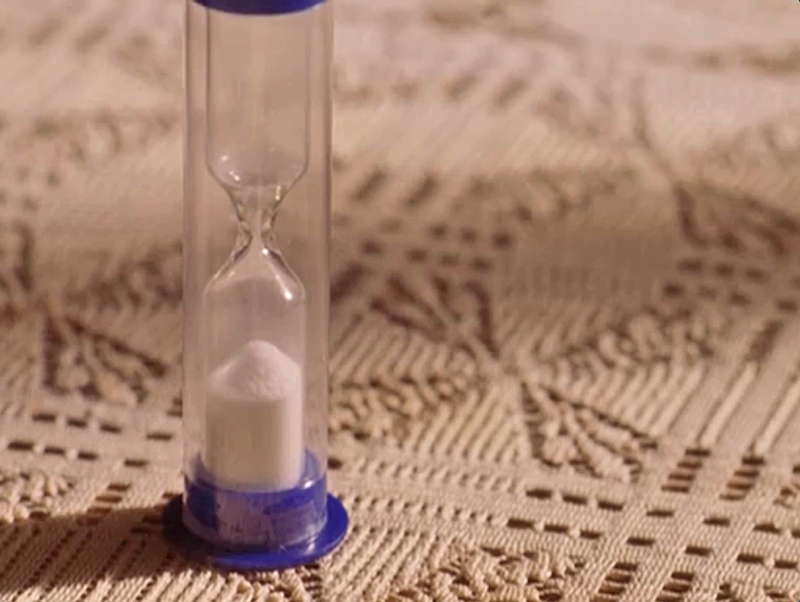 The hourglass, Mt. 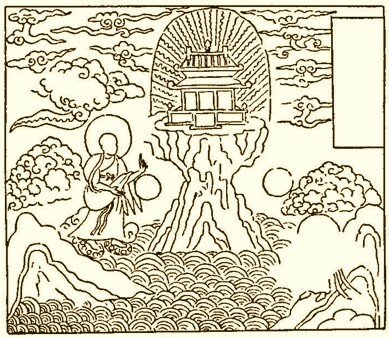 Meru shape keeps spinning in and out of form, depicted as figure 1. Cut to strange child prodigy Charles Wallace playing Boggle, as the camera closes in on the hourglass timer. The movie, like the book, depicts the tesseract as a mysterious concept, barely understood by the few humans who know about it. 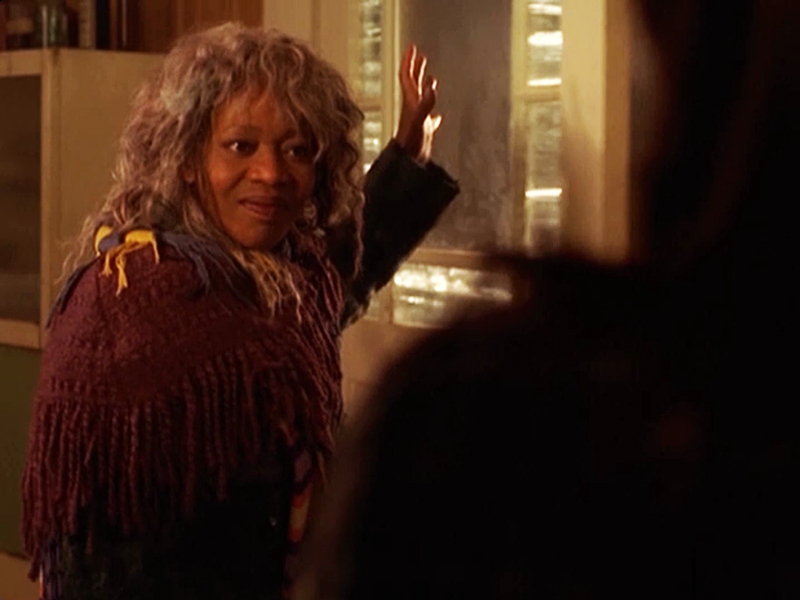 The geometrical form is never shown, but it is implied, as in an early scene in which Mrs. Whatsit gestures toward the door and tells Dr. Murry that "there is such a thing in the real world as a tesseract and it works." The door's window is made up of multiple square and rectangular panes of different sizes suggesting the idea of the tesseract. A door is a portal. Young Calvin is mystified as to how they have arrived on a distant planet in another galaxy. Where was the spaceship? Mrs. Whatsit explains, "Spaceships are shiny toys for infant civilizations. The ultimate starship is here." 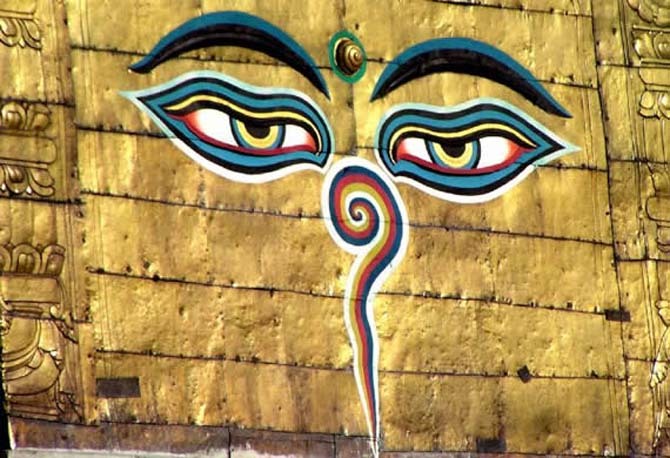 To the uninitiated it might seem as though she's pointing at her head to indicate the mind. 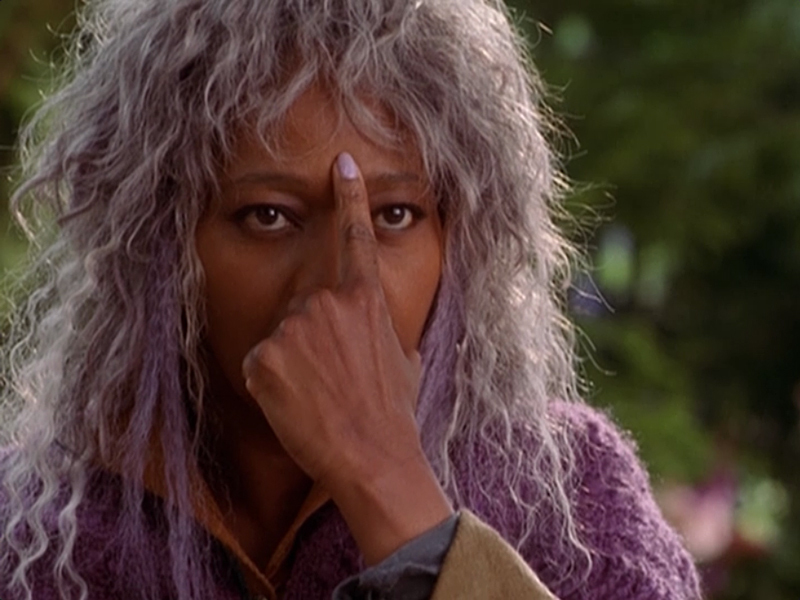 But, Mrs. Whatsit is very carefully and deliberately pointing to her third eye. 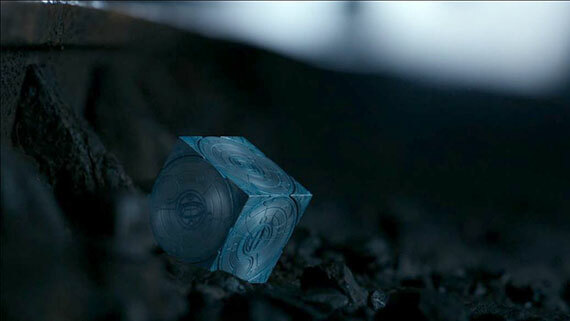 So, the tesseract represents a kind of transcendence, an alchemy. 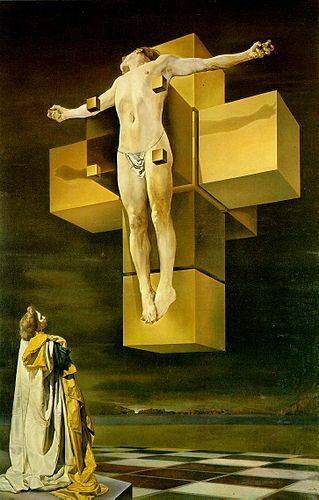 Salvador Dali described his painting Crucifixion (Corpus Hypercubus) as a work of "metaphysical, transcendent cubism." Interesting stuff. Have you seen "Interstellar"? I just watched it on the plane. Tesseract is featered there as well. Now that I read your article I see them everywhere lol, for example just last Sunday I went to a crafty beach-side market and there was a stall with all that stuff like TARDIS pendants and earrings haha. I have not seen Interstellar. I'm sure I will at some point. 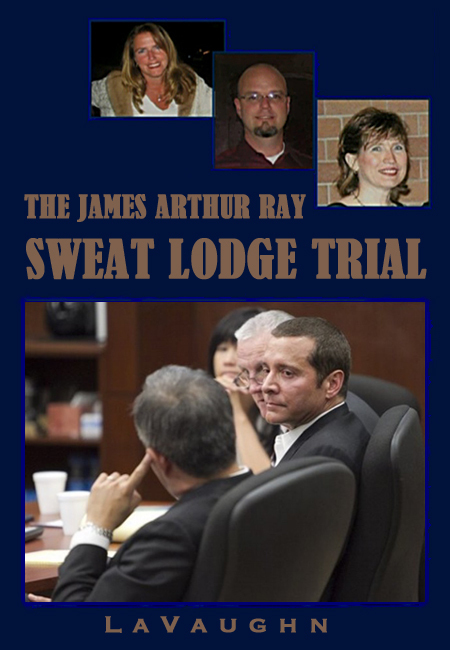 I read up on it and it looks like a clever premise. Did you like it? Worth watching, I probably need to do it again because I was extremely tired and kept on dozing off. Okay, that video is some whackness. So funny about watching Interstellar on the plane. I had the same thing the first time I watched Matilda, red-eye from Mexico. I kept waking up thinking I was dreaming because that couldn't possibly be the plot of a children's movie.